Most of us are well aware of what a live video is, be it on Facebook or Instagram; one can find several live videos. Lately, it has been so popular that even companies are using it to engage with their audience. Live video is a mean by which one can have a real-time conversation with several people at a time and promote the authenticity of the product and service or can simply put up why and how much passionate you are for the product or service you cater. Nobody can deny that SEO is ever changing; SEO professionals have to try out various tactics to rank their website higher. Cryptocurrencies exceeded expectations in 2017 after breaking through the public domain. Blockchain technology is now considered a pivotal innovation that we haven’t witnessed in years. Experience the joy ride like never before! Developed by Potenza global Solutions, Stunt Rider is a chart-topping bike stunt and racing game with pleasant aesthetics and vivid backgrounds. It is a misplaced notion, common among many that UI and UX are the same. Now, even though they do rely on each other to a certain extent, they are not the same. The user experience (UX) is affected by many more factors than just user interface (UI). Designers do impact the user experience, but is that impact as significant as that of a developer? Virtual reality(VR) is somewhat of a household name nowadays, with Oculus Rift & Playstation VR people can experience Video Games outside of the traditional rectangular screen. Pokémon Go players have experienced Pokémon’s in their real-world environment which in technical term is defined as Augmented Reality(AR). When we combine the above two to create an environment where one can simultaneously experience and interact with digital content immersed into their real world is called as Mixed Reality(MR). These terms VR/AR/MR are mere sub-classes of a broader term called as Extended Reality which is also known as XR. Lately, Bitcoin is a hot topic of discussion; few are accustomed to the concept while few are still confused. Apart from Bitcoin, there are several digital currencies available on the market. To simply state the concept, cryptocurrency is a form of digital money, which has some value to it. One golden principle: Regardless of the market niche, the businesses, be it large enterprises or SMEs can maximize the efficiency with resources conservation and expenditure minimization, which in turn fuel up the profits. It applies to the whole webbed world. Going digital has become a part and parcel for the businesses to sustain and skyrocket the growth. There are multiple platforms that allow businesses to power the website, but the obsolete platform- WordPress is yet known as the most popular cms till date and enjoys the virtue of powering 35% of all the CMS based websites. Whenever we have any question we seek the help of Google. Never will it happen that we did not get the answer to our queries. Google has always been improvising its services to serve the customers better. The present era has witnessed tremendous growth via the internet and various E-commerce applications that are operating over it. E-commerce is a huge market and is still growing all over the world. Many software companies provide a versatile platform for web development and application development. Off lately, it was noticed that there are a lot of factors that jeopardize the online presence of e-commerce sites. Here, in this blog, we’ll discuss a few common SEO problems that can be addressed with proper strategy. This has more to do with the strategization and less to do with the technical know-how. SEO is a tough nut to crack. You may be resolute in your efforts to optimize each and every element of your website and industrious to create top quality content on a regular basis and make it as easy as possible for Google crawlers to crawl your web pages. Android app development has gradually become the big cheese in today’s tech-savvy era, and there is no denying the fact that android application development has turned into an integral part of the technological world and is the backbone of every business. Server-side scripting offers a seamless experience to end users by running the software to execute instructions on the server. 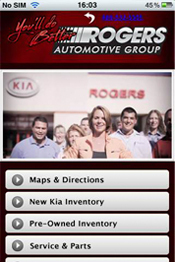 They navigate, locate and deliver information requested by the user in a fast and smooth process. Planning to build a new website for your construction business? Potenza Global Solution recommends using Constro - a Responsive Umbraco theme designed especially for your business! Augmented Reality or AR and Virtual Reality or VR come up as two ends of the same sentence. There can be no conversation where both of them aren't together discussed. Digital Marketing is one of the most upcoming businesses that is very lucrative yet highly demanding. Marketers are facing a lot of challenges as this business needs a detailed analysis of the data on a daily basis. And with such a busy life it is very hard to keep pace with everything simultaneously. Today, mobile internet is a necessity rather than a luxury for mobile users. Consequently, the mobile app market has grown exponentially in recent years. To gain visibility for your mobile app in the current market is no easy task. So, if you plan to start an app business, make sure you take a systematic and well-planned approach towards the app development and marketing process. Gone are the days when social media have been just a medium for the people to connect, share and communicate. In the last few decades, businesses have also started using the social platform to connect with the customers by listening to their interactions. When we talk about improving website rankings in the SERP, all we hear is regarding incorporation of SEO practices like content creation and updating with the right keywords, links, metadata, and other optimization techniques. One crucial aspect that we overlook is the importance of site structure to enhance SEO performance. In the dynamic world, building dynamic websites to step in with the dynamic market and maintain dynamism is a must. There are a lot of programming languages such as PHP, Yii, CodeIgniter, .NET, and Java that are leveraged to engineer the dynamic websites worldwide. Before 2005, developing the 2D and 3D game apps for different platforms was quite a task as a mobile game development for various platforms involves a lot of time, efforts, and dollars. But, the launch of the Unity engine at Apple’s Worldwide Developers Conference turned the table upside down. There has been a lot of talk lately about negative SEO. Does it really happen? If so, should you be worried? How do you know whether someone is attempting to attack you with negative SEO? The purpose of this blog is to shed some light on the subject, and hopefully to reduce some of the fear exists in this area. 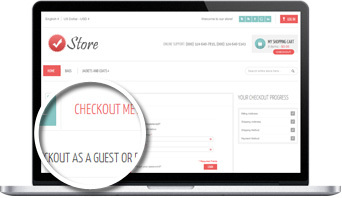 WooCommerce, a free plugin that lets you sell products and services from your WordPress site. 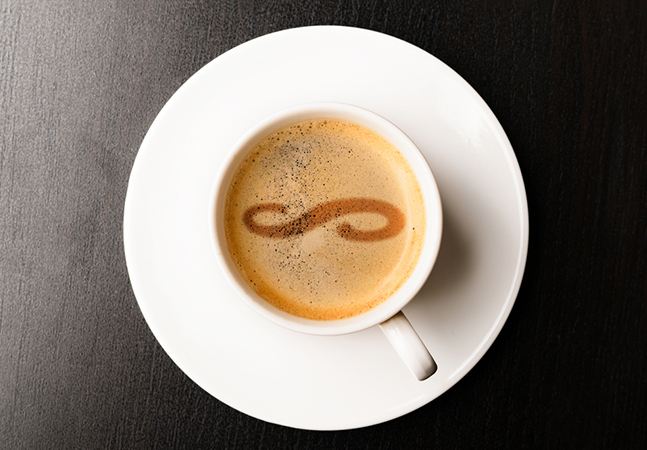 It was acquired by Automattic Inc., WordPress’s principal company recently. It is one of the best-designed e-commerce plugins for WordPress and is considered as a most popular eCommerce solution across all websites. PHP- the server side scripting language has brought a huge transformation in the website development with ever-evolving frameworks, libraries, tools and other resources. It’s highly used for building blogging, CMS, or Ecommerce websites to accomplish the business requirements. In the mobile app development companies, project failure is commonly heard due to the array of reasons. Sometimes, it’s due to the rigid deadlines, lack of transparency, time limitations, or evolving scope to be completed within the stipulated time interval. The plethora of digital marketing services such as SEO, SMO, PPC and email marketing is profound in boosting the businesses’ online business presence around the globe. With the astronomical growth of mobile phones, no mobile strategy means lurking the business future in the dark. Presently, no business can afford to move in the direction opposite to the customer trends, market conditions, and advanced technology. iOS- the one of the leading platforms is profoundly known for having high-quality apps and stringent requirements that must be met to upload the app onto the Apple store. Having a website has become all bread and butter for the businesses to reach the target users and woo them. 70% of the users decide in 30 seconds that they will use the app in future or not when they first browse the app. With time, Magento platform has evolved and powered by the advanced tools, extensions, secured third party integrations, payment gateways, and other resources. The Ecommerce stores are built with one goal, which is to increase the revenue with increased sales. Building bespoke, high-performing and scalable applications is good. But, the whole worth of the application becomes zero if the app lacks utility or users won’t find it useful enough to meet their needs. Furthermore, to make the app future-proof, it’s essential that app fulfills the users’ unpredictable needs. As mobile app development is becoming a trend among the businesses, increasingly the entrepreneurs are looking for the best mobile application development company. WordPress- the potent CMS website development tool is powering the websites from the time when it was considered as the most beloved platform to build the online presence. With time, other technologies have also emerged that are giving the tough competition to the old-aged platform. Mobile commerce- The next Gen E commerce is taking the world over as mobile usage is amounting to gazillions. In the digital era, ubiquitous mobile devices are the ‘must-have’ without which the life seems implausible. When it comes to app development, the two budding names pop up in every one mind that are- Android and iOS. Outsourcing is the new trend today. Whether it comes to software development, recruitment, hospitality, everything is being outsourced. Magento, a main open source ecommerce stage offers store proprietors with extreme modified alternatives to oversee advance, substance, and working of their stores. WordPress has developed as the title holder Content Management System in the late circumstances. WordPress is giving a rich working platform and an incredible client experience to a large number of clients. One of the major parts of promotional activities is promotion on social media. There are n number of benefits that a business or an entrepreneur gets when he/ she promotes his/ her business on social media. Recent development in the mobile applications has created a separate niche in the technological market by shifting the base from Smartphone to wearable devices. Trust Google to come up with tools to simplify and improve the conditions for web designers. And this is what exactly is being done through their Polymer App Toolbox. Nowadays, front end web development is something that requires deployment of most advanced and feature rich technologies to bring out the best results. In this regard, Angular JS and jQuery techniques play an important role in creating and developing modern web applications. We are all being witnesses to the digital phenomena that Pokemon Go is and is becoming by the day. Just after its much awaited launch by Niantic, it was downloaded a record number of times and increased the market value of Nintendo to a whopping 9 Billion Dollars. Presenting your skills and creativity just became more inventive and imaginative with this unique HTML5 template, Sam Martin - Personal vCard Resume. This out-of-the world concept took its form in the minds of experts at Potenza. Before knowing about anything, we need to know about the concept of the design patters. Christopher Alexander who noticed the patters behind an individual’s daily activities published a much popular book named “A Pattern Language” which proposed the presence of the design patterns in people’s life as well as in the user interface too. These design patterns are solutions to the most common problems which the designers as well as the developers come across. It is a given that SEO is a pivot for improving your site visibility and reach. However, it is not a cake walk to get to the top of a search results page. It takes a lot of effort, expertise and strategy for it to yield results. We all know and understand the power of social media and the increasing number of users every single day. This number has increased multi-fold in less than a decade, there is data and studies backing this up. There has been a radical shift of focus from desktops to mobile devices and so did everything else, such as designs, search engine optimization techniques, etc. They now understand the importance of mobile devices on the internet as a whole and how it is taking over. There is a lot of bug-fixing and code editing that happens, like a million times. You do dry runs and test everything at the development phase before you actually launch the app. The final output that any marketing campaign strives to achieve is to ensure they are reaching their target group. It is not as simple it sounds to arrive at an answer. There are a few key indicators if followed will propel you towards an effective marketing strategy. Mobile application development is an advancing field which is uncovering great potential day by day. It is a process which can take from months to years depending on the type of application being developed or created. Exactly how imperative is social networking for lead era and client connections? Is it more imperative than SEO and verbal publicizing, as per Wasp Barcode Technologies' "Condition of Small Business Report?" The CORPS is an elite multi-purpose 100% responsive format with capable components. Basic and very much organized coding, high caliber and adaptable design, versatile components alongside shading plans, this can be put to effective use to make tailor-cut sites. It is really challenging to meet the demands of the client all at once, but certainly it is not impossible. Therefore before you are on board with the project, keep few things in mind. It is necessary, that the work should be done under the concern of an expert. Marketing is developing vast informative content to educate and build relationships. Now-a-days, customers continuously look for fresh content from time to time. The impulse shopping days are disappearing and no business targets such customers. In this world that so active in the social media world quickly adapts to any change whatsoever that is made in the social media websites. The latest feature that is the emoji emotion focused like button on Facebook. People have been extensively using this feature to further address their reactions clearly on the post. The set up of Content Management System has evolved and changed the entire Internet landscape. These platforms have made designing and maintaining websites easier and much more interesting and engaging. These days, so many activities and works are being done through the mobile phones and laptops because the user installs applications in these gadgets that makes the work easy. The fast growing app culture has definitely trickled the businesses to have their own applications in order to grow business or reach their customers. Majority of people dream of becoming a successful internet marketer, however there is immense competition in this sphere and it requires a lot of effort to accomplish it. One has to be careful in selecting an appropriate affiliated program. Drop shipping is a supply chain management technique in which the retailer does not keep goods in stock but instead transfers customer orders and shipment details to either the manufacturer, another retailer, stockiest or a wholesaler, who then ships the goods directly to the customer. We will call them as supplier. You must be having this thought that why one should use Android for app development rather than iOS. Well, the question has an obvious answer and the fact that Android app development is always better cannot be denied. Are you a local business with a website? Are you looking to gain position in search engine results? Then you really need to know about this 3-Pack strategy. Nowadays, technology has opened gates for the developers with the increasing development and usage of smartphones. The smartphone users are increasing so rapidly that the developers have a great chance to reach several users with their app provided the app is worth the appeal. CakePHP is a wonderful development program established by one of the most powerful languages, PHP. Ever since its launch, it has become the most popularly searched for program. It is very helpful in creating applications like various e commerce websites and applications for material management. If you are one of those bloggers dreaming to have your own news or magazine website, then the time is up for you to wake up to the world of WordPress Themes. Unbelievable Right? With no efficient resources, it might have been difficult to even think about developing a news website. We get trained and tamed with those innumerable apps on the iOS store. Many of them enhance our skills in using email, to-do list and further they save our time to utilize it in other works. These apps acquitted with numerous excellent features not only improve our work culture but also improve our productivity. In the world of business, the most important thing is to satisfy the ever changing demands of customers while attracting the new customers. 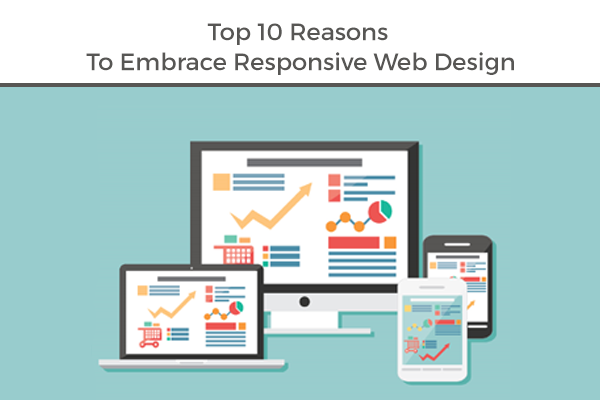 In today’s high-tech world being flooded with gadgets that comes in numerous sizes, responsive web designing is gaining preference for designing websites to make it multi-device friendly. dtSearch Corp. One of the leading developers of text retrieval software and supplier has introduced brand new NET development solutions to run the dtSearch engine completely online with the Microsoft Azure file. It uses Remote apps for accessing secured data of any type and from any device or computer. As the season of holidays is fast approaching, it’s a great time for charitable and non profit organisation to gather donations and charity as people will be in a mood to give. You might have already formulated your fundraising strategies but are you utilizing the most out of your digital gadgets? Ability to work online was something we preferred the most because it could give us ease and freedom to manage our personal tasks as well. Real estate is always in demand and the business is forever at the peak. Below are some stunning WordPress Themes for Real Estate. Mobile games are meant to be engaging and exciting. They are mainly designed for entertainment. Any thing that serves as a barrier between the player and entertainment is surely going to lead to failure of the game. Barriers, such as long intros, long gaming sessions, bugs, tutorials for each gaming session, unforseen difficulty levels, and investment of time and money, must be avoided at all costs. Below are some stunning WordPress Themes for Car Repair Service. Unity, Unreal Engine, and Cryengine are the top three cross platform Mobile game development engines. The announcement of Proactive at the WWDC conference 2015 by Apple, was awaited from a long time. iOS 9 Proactive is the fresh personal assistant for your iOS device. mobile apps is one of the most powerful technology with the reigns of supremacy under its control to command and rule the world which has made its use mandatory by discriminating itself with the others rather than its attractive features. Music is an inseparable part of life. For reasons known and unknown, music has crept in each and every area of our life. In this blog post I am describing about some of the best WordPress Video and Music Player Plugins based on HTML5. So, all those music lovers out there you need to be all ‘ears’! There is a huge difference between using mobile technology and having the cognizance about including mobile strategy into your profitability plan, specifically when it comes to your manufacturing business. Healthcare industry is not an exception. Even in that industry games are being deployed to train medical and administrative staff. Games are also utilized to help patients understand their body and enhance their fitness levels. 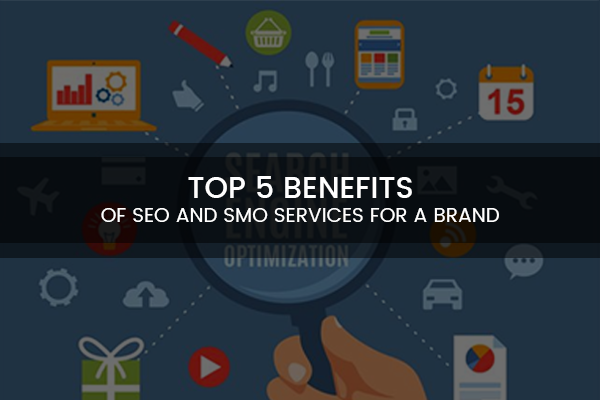 In this article, I am presenting some ways which can help you SEO optimize your eCommerce website and make it more search engine friendly. With Apple Watch, businesses can enable their customers to view their website content on watches of their target market. Some business owners may not like to move ahead with this trend. However, one must not forget that delivering content, to the end users, which is most convenient, is the top most priority for an effective online marketing strategy. Potenza Global Solutions with its expert team of android game developers has come up with this superb game application. This app named River Fun works on Android devices. It is not only engaging, but also has a beautiful natural scenic environment. Venturing into the mobile world is not so easy for a business. 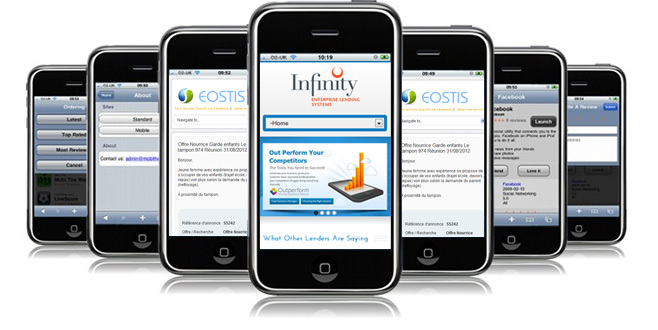 Some companies help their clients in creating sophisticated mobile applications. This is an established trend for businesses that have identified that mobile will change the way customers behave. Blogging is the buzz word in this era where constant communication is the key to success. It is one of the top most social media tools, which helps a business draw the attention of prospects. A blog is a core part of a website. Almost all businesses, whether big or small, usually include a blog on their website. Blogging offers a number of benefits by disseminating product/service information, valuable thoughts or suggestions, news and much more. Simply put, blogs play a significant role in publishing content which can be used further on social media channels to draw more traffic to your website. Potenza Global Solutions, which has been providing top-notch IT solutions to businesses for more than a decade, has come with an innovative WordPress theme, Six Box. DNN is a web content management system. Built on ASP.Net. DotNetNuke has many features which are suitable for Organization, Web Developers and End User. DNN or DotNetNuke is an ASP.NET framework that helps in building and maintaining websites. Website can be easily maintained by you with the creative tools offered by DNN platform, you can get a website which has a unique style and meets the web standards. 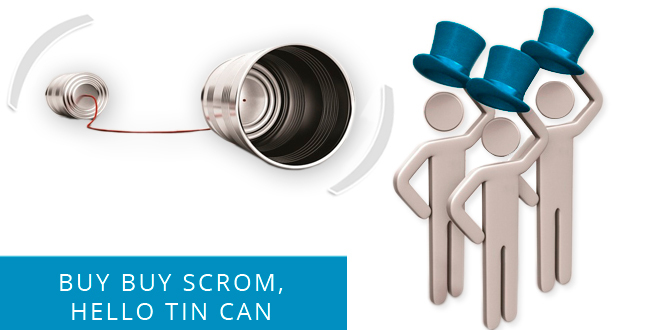 The Tin Can API is commonly referred to as "The Experience API" and "Next Generation SCORM." 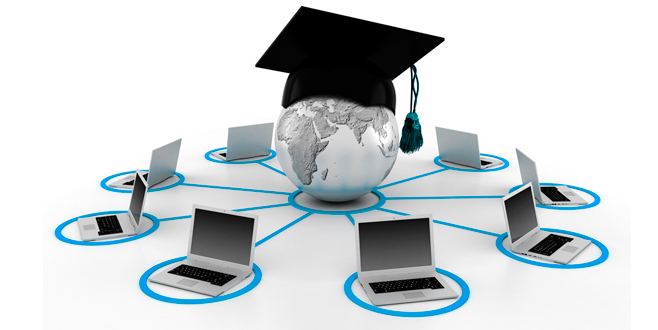 SCORM (Sharable Content Object Reference Model) is a e-learning standards for packaging e-learning content to be delivered to LMSs. Windows Azure is a cloud computing platform and infrastructure, created by Microsoft, for building, deploying and managing applications and services through a global network of Microsoft-managed datacenters. We know you already have social media pages for your company and you have these icons over your website, but the question here is ‘Are you using the social media channel to your advantage?’!